Providing reading glasses help elderly people to see the names of their medicines and read necessary documents. There are many people in the war affetced areas suffering from poor eye sight due to dense cataract who will benefit by surgery and artificial lens implantation. Our eye surgeon witnessed a camp sponsored by John Keels Ltd while he was conducting his clinics at Killinochchi hospital. Vision 20/20 program arranged to perform cataract surgeries to eliminate treatable blindness to needy people, are organized by World Health Organisation in conjunction with the Ministry of Health, Sri Lanka. Assist RR is planning to arrange a similar cataract camp at Mullaithivu hospital by providing necessary materials and work with WHO, which will organise the camp with man power and required equipment. 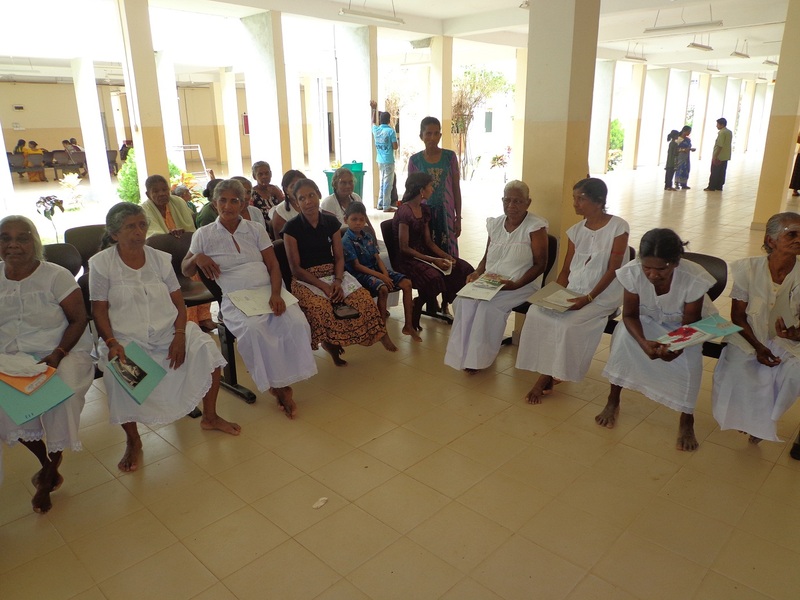 Kaithady elders home located near Jaffna, urgently needs help to treat its residents who are facing vision difficulties. Assist RR is keen to provide the necessary lenses and they can then have their cataract surgery done at Jaffna hospital. Assist RR aspires to provide similar help to the needy people residing in other elderly homes as well. Assist RR is hoping to purchase a few more essential equipment that are necessary to conduct mobile eye clinics in various villages affected by war. Many war affected children who are suffering from various eye related illnesses including blindness need help with their vision correction to improve their ability to lead a normal life.